City of Panama partying on a bus. Stop at the Best Bars and Nightclubs in Zona Viva, Calle Uruguay, Casco Viejo & More! Traveling to another country is never easy the first time you do it, even if it's somewhere as close as the Central American country of Panama. What does make things a little easier on you is being in the company of activities you're quite familiar with. Especially if you're traveling for a party, Panama is the perfect place to go. With an abundance of welcoming nightclubs, all offering an inviting good time, not only will your vacation be chock filled with excitement, you'll find yourself forgetting any discomforts you may have had when you first landed. The first thing you're going to realize about Panama's nightlife is that it is divided into several rather entertaining districts. Each district is known for its own quirks, but no matter where you spend the evening, you'll have a great time. Panama's business district may sound like a dull time, but that doesn't mean it doesn't know how to throw a party. It is here where you'll stumble across clubs like Koppas and Next. Next will cater to a more new-aged crowd with its mix of electronic and house music but provides comfort to all with the included lounge and coveted VIP sections. Velvet, one of the newer spots in the business district, hosts a veritable mix of musical tastes and offers spots of relaxation with its massive space and scattered sofas. Once you've had your fill of the business district, you'll want to head over to Calle Uruguay. 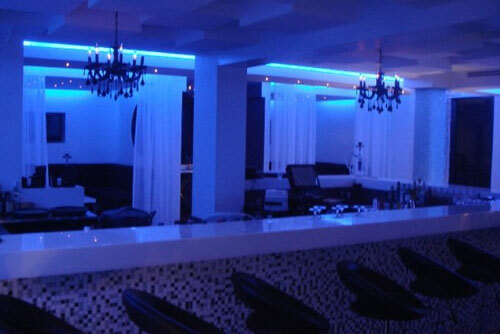 Here, you'll want to stop into the jam packed Sahara which boasts the fact that it is far more then just a nightclub. Within this expansive party space, you'll find yourself duking it out with some of the local pool sharks, drinking in the warm night air on the outdoor patio, and chowing down on the local fare. If you can escape the Sahara, you'll want to check out the reggae-inspired Moods and the more intimate S6IS. Beyond Calle Uruguay, you'll find yourself in Casco Viejo. In Casco Viejo, you can enjoy a night of electronic/house music at Indigo or join in on the 1950's Cuban vibe at the Habana Panama dance club. The final district, the Amador Causeway, is where you'll find Zona Viva, which is a stretch of various nightclubs, bars, and outdoor lounges. You'll find the bulk of your entertainment here along with a hefty crowd of people just looking to party. Of course, the exciting nightlife isn't just limited to these districts. Beyond, and well into the city walls, you'll find locations that come off as familiar. Buzz, Riviera, and Mangos are all more then capable of providing an entertaining evening with live music and professional house DJs. If you're traveling to Panama, there's no cause for worry. In no time, you'll find yourself comfortable with the locals and locales, and its assortment of nightclubs will help get you there all the quicker. No matter where you're at in this exotic country, you'll be in range of any amount of fantastic establishments.